I was blown away when I first saw the A380 pic in the newspaper. Anyways, here are more information on the flying mammoth. 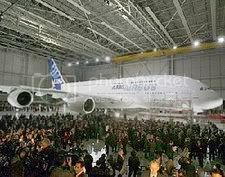 The Airbus A380 was launched last week (18th January) at a lavish media event at the Airbus's headquarters in Toulouse, France. 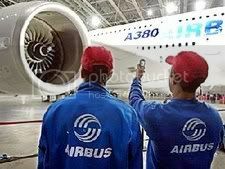 It seems the aircraft will have three floors, connected by stairs in the front and rear. Passengers will be seated on the two top decks, while the bottom deck carries cargo. Its' flexible design can accommodate a three-class, 500-plus passenger layout with luxury features like gyms, bars and even childcare centres, or stripped to the bare essentials and used by budget carriers to fly up to 840 people. Here's somethign interesting, the first airline that will fly the plane commercially, in mid-2006, will be... SIA, which has ordered 10, at a total cost of US$8.6 billion, for use on London and Sydney routes. would u like to fly in one, or not? 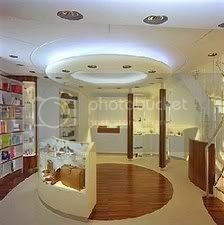 disadv, difficult to evacuate it during an emergency, also long wait to disembark when arrive, and long wait for baggage retrieval, and long wait to get meals during flight.also have to change at a hub airport to a smaller plane to fly to destination instead of flying direct. adv? are there any? space? more leg room? bigger chair space? gyms, etc only for first class, not for economy travel. cheaper air fare? how much cheaper can it get? oh..so wonderful...greatest achievement of the 21 st century...What more I can say ? 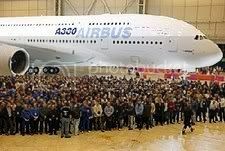 The new Airbus A380 and pics would u like to fly in one, or not? 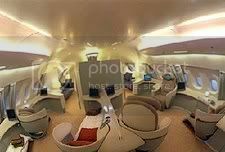 disadv, difficult to evacuate it during an emergency, also long wait to disembark when arrive, and long wait for baggage retrieval, and long wait to get meals during flight.also have to change at a hub airport to a smaller plane to fly to destination instead of flying direct. adv? are there any? space? more leg room? bigger chair space? 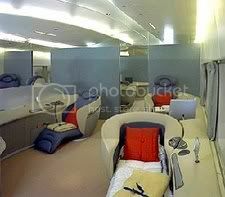 gyms, etc only for first class, not for economy travel. cheaper air fare? how much cheaper can it get? oh..so wonderful...greatest achievement of the 21 st century...What more I can say ?